Well, since I bragged about the good deal I got buying my glasses online, I think it is only fair that I post an update. As you know (if you’ve read my post) I purchased three pairs of glasses online. I was so excited because their cost was phenomenal. Well, as you can imagine since I have three pairs of glasses I don’t wear one pair all the time. I switch it up. One pair is a pair of sunglasses, but still, that means I am not wearing either of the regular ones while I am out in the sun. Well, I had my glasses on, then I put on my sunglasses, putting the regular pair in the case. Then when I got home I took the other pair out of the case to put them on and they broke. I am sharing because it has been about a month and a half and they broke. I am also sharing because I am sad, I contacted the company and I have not heard back from them. They DO have a warranty of a year and you can get a free replacement, but I wanted to verify that was PER PAIR before I requested a replacement, but since I have not heard from them I am assuming that it is and they are just waiting for me to request a new pair. So I am going to. I am still disappointed that I have not hear from them. Well, I still like my other two pairs, so I wouldn’t necessarily say not to order from them. In fact, I think I am still going to order two other pairs from them. I want to try bifocals. I will keep you updated. This entry was posted on April 3, 2019 at 10:39 pm	and is filed under Uncategorized. 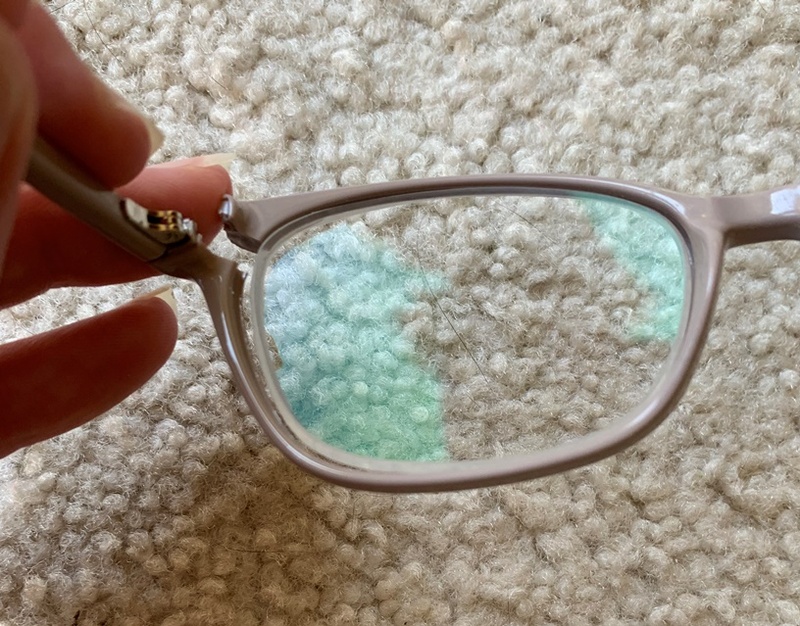 Tagged: broken glasses, EyeBuyDirect, gray pair of glasses, presription glasses, shopping online, sunglasses. You can follow any responses to this entry through the RSS 2.0 feed. You can leave a response, or trackback from your own site.